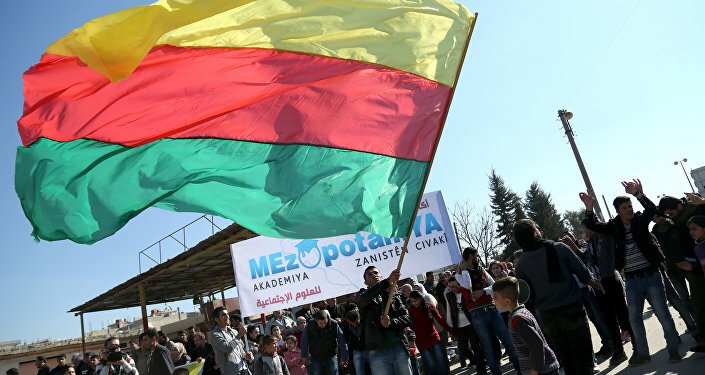 The US and Turkey continue to hold on to diametrically opposite opinions on the status of Kurdish military and political entities in Syria, threatening to drive a wedge between Ankara and its Western allies. While the US regards Kurdish militia forces as valuable allies and an integral element of the upcoming siege of Raqqa, the so called ‘capital’ of Daesh (ISIL/ISIS) in Syria, the US insists that Kurdish political and military entities are nothing but terrorist groups and must be treated as such. Earlier in February, Turkish Deputy Prime Minister Numan Kurtulmus said that Turkey won’t be taking part in the assault on Raqqa if Kurdish forces will also be involved in that operation. According to Ankara, the Kurdish Democratic Union Party (PYD) and People’s Protection Units (YPG) are both connected to the Kurdistan Workers’ Party, which is recognized as a terrorist group by Turkey, the EU, the US and NATO. Therefore, the Turkish authorities expressed concern that the liberation of Raqqa by Kurdish forces may merely result in one terrorist group replacing another, thus creating a serious security threat for Turkey and for the local Arab population. "How can we trust you?” Erdogan asked the US in February following a meeting between US envoy Brett McGurk and PYD representatives in Syria. “Is it me that is your partner or is it the terrorists in Kobani?" However, it seems that Washington doesn’t particularly care about Ankara’s concerns as the US continues to conduct its operations in Syria as it sees fit and regards Kurdish forces as a vanguard of the Raqqa offensive. As Ankara continues to warily eye US maneuvers in Syria and the attempts by Syrian Kurds to establish their de facto autonomy – the Federation of Northern Syria they’ve dubbed ‘Rojava’, practically at Turkey’s doorsteps, it remains to be seen how President Erdogan may address these challenges. US Senator John McCain, for example, has recently expressed concerns that the US military may be deprived of access to the Incirlik airbase by Turkey if Washington continues to expand its cooperation with the Kurds. Also, this development deals a serious blow to NATO’s image as the 'all for one and one for all' kind of defensive alliance as one of the organization’s members openly and blatantly disregards the interests and security concerns of another member. It should also be noted that there are approximately 40 million Kurds living in Turkey, Iraq, Iran and Syria, and that none of these countries is particularly thrilled about the prospects of Kurds establishing a sovereign inland state at the expense of these nations’ territory. Therefore, the ongoing US support for Kurdish entities in Iraq and Syria may not only pose a severe challenge for the integrity of NATO but will also likely have a negative impact on the relations between the United States and the aforementioned countries.